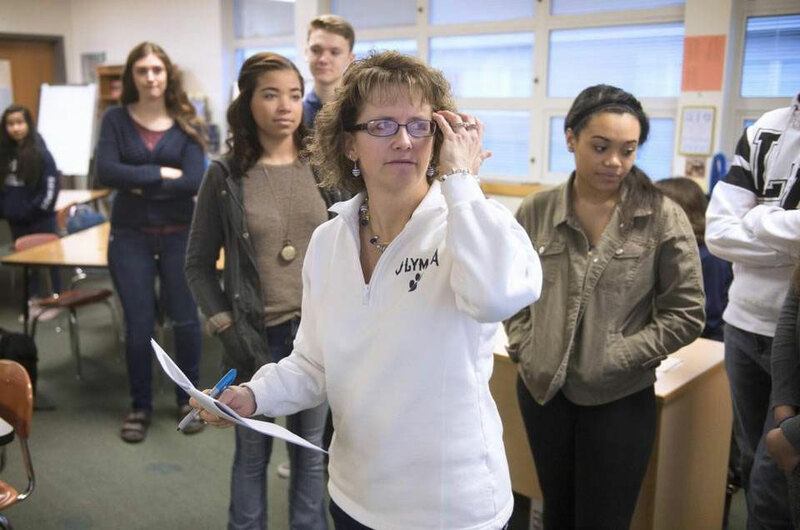 High school counselor Kim Reykdal ’94 doesn’t wait around for students to make appointments. She searches them out. Whether it’s scholarship applications, information about opportunities with the U.S. military, or the latest on specialty or technical colleges, Reykdal is known to work the lunchroom, if necessary, to get students setting goals for life after high school. That commitment to student achievement earned Reykdal a trip to Washington, D.C. in January as one of four 2016 national Counselor of the Year finalists, where first lady Michelle Obama praised her efforts in a White House ceremony. The recipients also met with lawmakers and attended a congressional hearing. Obama singled out Reykdal’s efforts during the ceremony by reading a letter from an Olympia High School student. “One day, Ms. Reykdal approached me during lunch to give me a scholarship application highlighted and annotated just for me,” the first lady read. “If she has information for a student, she will hunt them down just to give it to them.” This drew laughter among those attending the ceremony. Reykdal’s husband, state Representative Chris Reykdal ’94, also is an educator and is running for the Superintendent for Public Instruction this fall. He traveled with her to Washington, D.C.